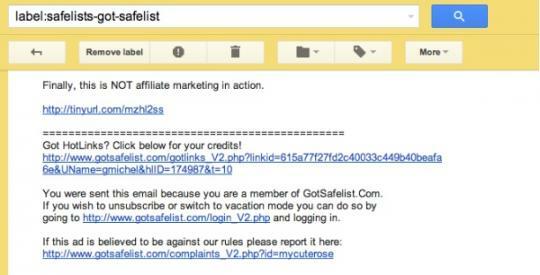 A Safelist is a membership website with a list of marketers who have all agreed to receive other marketers’ promotional emails. This is called a Safelist because as everyone has agreed to receive emails from the group, there can’t be any SPAM complaints. It is completely safe to send your messages and market your business or work at home opportunity and any product in the Internet marketing niche. When you join for free a Safelist you are given a certain amount of credits that can be used to send your email marketing messages to other marketers in the list. The frequency you can email the group depends on the Safelist, most of the time it is once per day. When you run out of credits you have two possibilities: you surf for credits or you buy credits. You will receive lots of promotional emails and you absolutely need to open a new email account only for Safelist marketing. In order to get credits you need to open each email sent to you and click on a link at the bottom of the email that says something like “Click here for credits”. After you click, a website shows in your browser with a timing at the top. After 10 or 20 seconds, depending on the Safelist, you are credited. Safelists have different options: you may buy your credits in bulk and use them as you wish, or you may upgrade to a package that gives you more credits per month and also other benefits. When you have some budget, upgrading can really help you out in your marketing as you will be able to send more emails more often. For many people the answer is NO. So, why I am writing a post about Safelist marketing then? Because they DO work like any other methods if you know what you are doing, if you are organized and consistent with the method. This method is fun for some and a nightmare for others, try it and see by yourself. After listening to the Empower Network‘s Inner Circle audios I realized that there are a few leaders there that started with no budget at all with Safelists and they are proof it works. I really recommend that you use the resource below if you want to be successful with your Safelist marketing. The Directory of Safelists is a free resource that can help you to manage your Safelist marketing campaigns effectively. When I was shown that website, I thought by myself “This is it!”. Not only they have a list of the best Safelists you can join on the site, but you can save your email ads, schedule your mailings all in one place. Directory of SafeLists – Why Join Today? Why join the Directory of Safelists today? Because it is FREE to join and it is time to stop struggling with safe list marketing NOW! – Stop Missing Your Mailings With Our Safelist Scheduler! 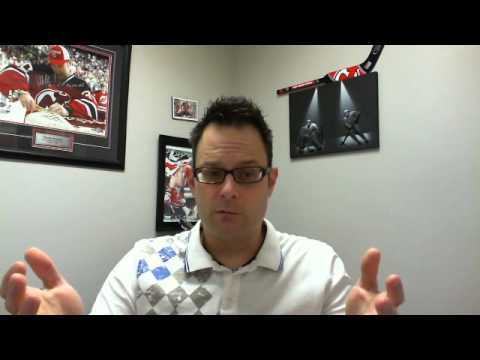 Inside the member’s area there are videos that explain exactly how to work effectively with your Safelist marketing whatever time frame you have per day. You will know exactly what to do. I hope this article on Safelist marketing was useful and if you implement this method I believe it will bring you tons of traffic and leads for free.